Another ATPC-created initiative is off to a great start, as the inaugural P20 conference took place in London, U.K. October 9-10. A VIP reception and board dinner at the Royal Automobile Club got the program started, with Digby, Lord Jones – whom serves as a Crossbencher in the House of Lords –speaking to attendees about the importance of this budding partnership between the U.S. and U.K. on the future of payments. He reminded participants about the shared history and results delivered by the two international financial powers, and mused that future collaboration could change the world. 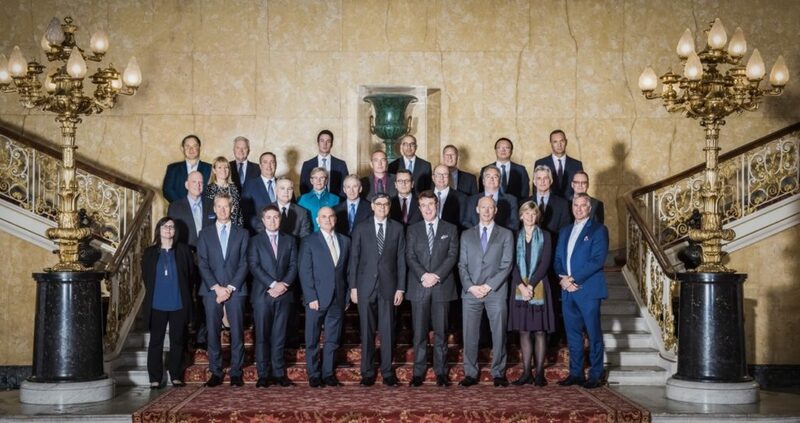 October 10th featured a full-day meeting at Lancaster House, with more than 150 of the brightest lights in global payments, representing the private sector, regulators and subject matter experts. Participants in the P20 board meeting approved the organization’s core agenda: regulation; innovation; cybersecurity; education; and global financial inclusion. Jack Lew, U.S. Secretary to the Treasury and White House Chief of Staff under President Obama, gave the keynote address and conducted a Q&A session. He recognized the P20 as an important and powerful idea, and reiterated Lord Digby Jones’ point from the night prior that the U.S. and U.K. can lead change in the world by working together on these issues – and that they should do so, continuing on to Atlanta next year. P20 Chairman Peter Radcliffe and Alastair Lukies, the Prime Minister’s ambassador to FinTech and 2014-2017 Chairman of Innovate Finance, also played primary programmatic roles, moderating panels and lending remarks. Conference Chairman Bruce Lowthers of FIS, who also serves as ATPC’s board Vice Chairman, hosted a dinner at the National Gallery to conclude the festivities. Overall, the inaugural conference was a success in regard to participation and securing a platform for ongoing policy and systems work. Plans for the 2018 event, which will move to Atlanta, are already in place as it will be held on the same dates – October 9-10 – at the Atlanta History Center. In the meantime, working groups are being formed based upon the founding pillars to drive progress on commitments. Videos highlighting the conference are in post-production now for release in the coming weeks. A report recapping the event is being developed by the ATPC and will be delivered in November. Stay tuned to the ATPC website and payments20.com for news on the 2018 event.